During 2006, when Uriah Heep toured in some twenty territories ranging from Indonesia, India and Thailand through to Brazil, Peru, Russia and Bulgaria, concluding with a six week Acoustic Tour through Europe, Lee found the rigors of constant touring increasingly stressful and will now take the opportunity over the next few months to embark on a stringent campaign in order o resolve his health issues. 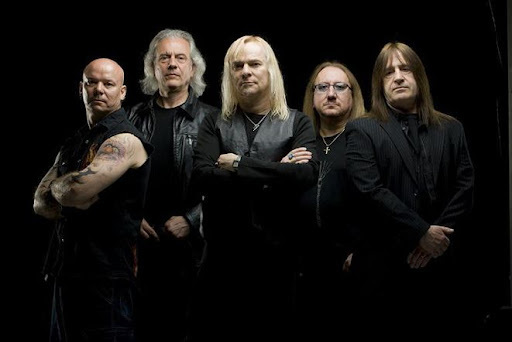 On March 14, 2007 this announcement was posted at www.uriah-heep.com : "Uriah Heep are delighted to announce that the drummer Russel Gilbrook has joined the band. He replaces Lee Kerslake who left the band in January due to health reasons. Russell is regarded as one of the UK's finest drummers and clinician's and has demonstrated specialist drum clinics all over Europe. He has worked with such diverse artists as Tony Iommi (Black Sabbath), Van Morrison, John Farnham, Alan Price, Chris Barber and Lonnie Donnigan. On April 14th 2007 Russell Gilbrook appeared with the band at his first gig, in Vuokatti, Finland.